Pinkie Pie invites KT up to her room for the night... but, uh-oh! The promised rollaway bed is nowhere to be seen! sounds like a type to me... possible that I miss something due to not being a native english speaker. 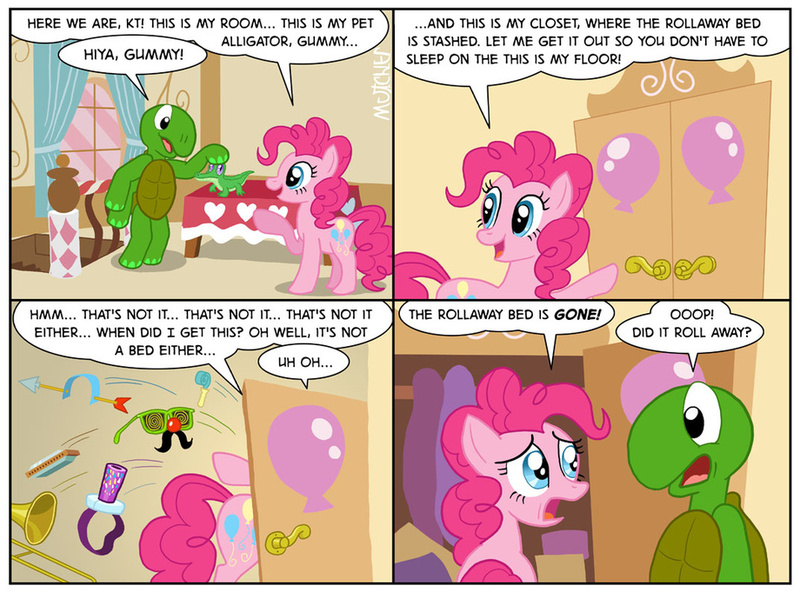 After saying "this is my room", "this is my pet alligator" and "this is my closet", Pinkie is on a roll and she says "this is my floor" instead of just "floor". OOOP! DID IT ROLL AWAY? bad pun, but cute... lol fave. the funny thing is, I'm reading the comix backwards.